UCP430 30 inch Under-Cabinet Range Hood in Stainless Steel Take your cooking experience to the next level with the UCP430 under cabinet range hood. 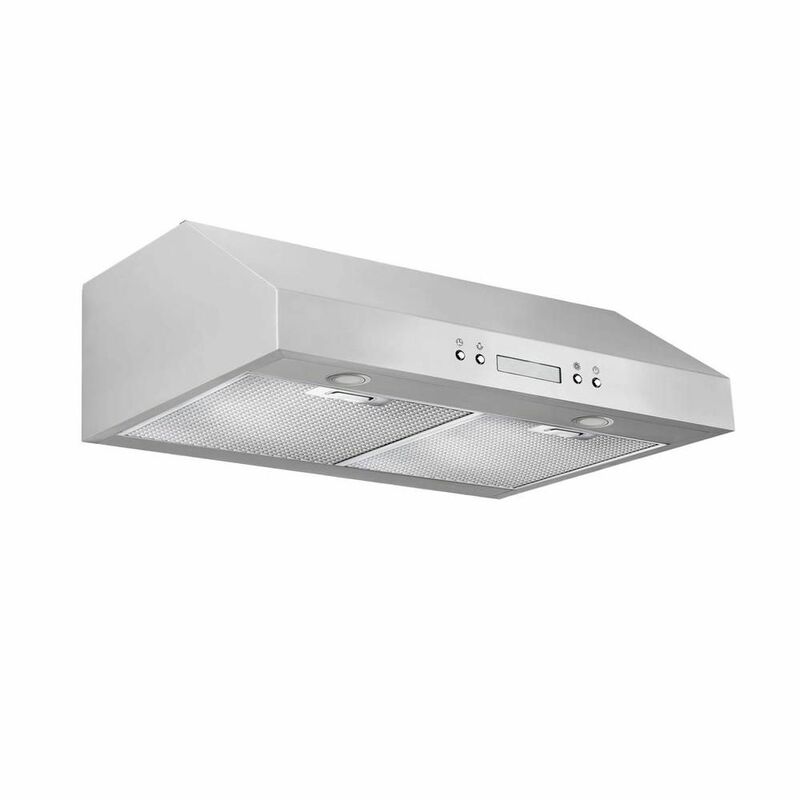 With a professional design this range hood features a powerful motor for strong ventilation. The 3-speed electronic controls with delay auto shut-off function are efficient and easy to use, and the long lasting, high output LED lights are an eco-friendly way to brighten your cooking surface. The aluminum mesh filters with stainless steel decorative panel will maintain their luster even after many washes keeping your range hood looking as beautiful as the day you bought it. The UCP430 combines powerful performance, easy-to-use features, and a design that will give your kitchen a professional look. UCP430 30 inch Under-Cabinet Range Hood in Stainless Steel is rated 3.8 out of 5 by 81.